A man has been charged with murder following the death of a woman who was assaulted in the street. Glenn Foster, 42, of Beverley Road, Hull, appeared at the city's magistrates' court accused of killing 39-year-old Joanne Hemingway. 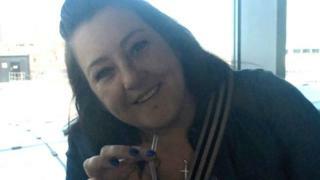 Police said Ms Hemingway suffered "serious injuries" outside a flat on Beverley Road on Thursday. Mr Foster was remanded in custody and will appear at Hull Crown Court on 5 July. A woman, 52, arrested on Friday has been released while inquiries continue and another woman, 34, has been released without charge.